The healthcare of the population of the Republic of Macedonia is provided in 17 health care institutions, and 16 medical centres with a big number of working units, clinics and offices distributed in the towns and around 300 medical units in the villages, one individual health station, one General City Hospital, 6 specialised hospitals, 9 institutions, 3 centres for special kinds of diseases, 3 natural clinics, one Clinical Centre and one Dentistry Clinical Centre, as well as 818 private health organisations. Although the public institutions are improving their services and capacities, and the process of their privatisation is well-advanced, it is still much better to choose the private ones, especially ones with longer tradition, and in all sectors. Many of the Macedonian doctors hold German, British, French, American or Bulgarian degrees, and attending seminars and praxis in foreign countries is more a rule then an exception, so the services in some areas are at the same level as in western countries. That goes for dentistry, for example, where you can receive a German standard service for a very decent price. Taking care for your mouth, while here, is a very good idea, which can save you a fortune. Giving a birth here can also be a nice experience. 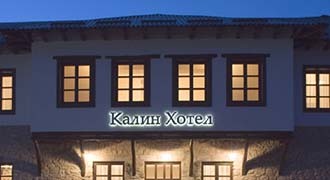 Recently several eye clinics were opened. Also,most of the medicines in the pharmacies are produced either in domestic companies (Alkaloid, Replek…) or are imported from the former Yugoslav countries (Slovenia, Croatia, Serbia). They do not have problems with the quality but for some newer drugs Macedonians go to Thessaloniki, or to Bulgaria. First aid is available in Skopje and in many smaller towns in the country. But, if you need medical transportation, you would prefer to be close to Skopje, where also most of the major clinics are located. When in Skopje, you should also consider subscribing to the services of some private clinics which can guarantee you a visit of a doctor to your home, or sending a medical vehicle, if needed. Costs only few Euro per month. If you can go and see a doctor alone, out of the working hours, in Skopje you will find several general practitioners, several dentists, four pharmacies. Of course, if the matter is serious, all the hospitals are available. It is smart to have cash with you, since most of the medical institutions still do not except cards.